Then-FBI acting director Andrew McCabe. 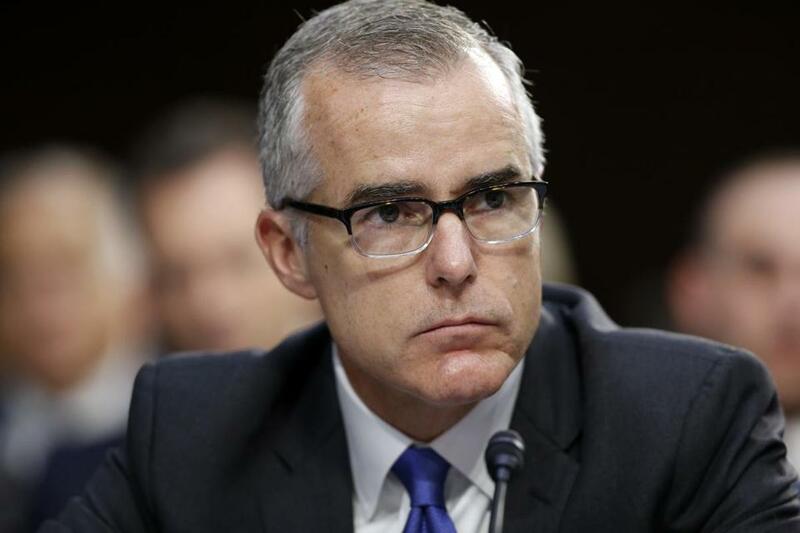 In an extraordinary rebuttal released immediately after the attorney general’s announcement, McCabe said his credibility had been attacked as ‘‘part of a larger effort not just to slander me personally’’ but also the FBI and law enforcement. Trump tweeted that the former FBI deputy director “knew all about the lies and corruption” in the intelligence organization. McCabe also asserted that he was being singled out because of the ‘‘role I played, the actions I took, and the events I witnessed in the aftermath of the firing of James Comey.’’ Mueller is investigating whether Trump’s actions, including firing Comey as FBI director last May, constitute obstruction of justice, and McCabe, a close Comey confidant, could be an important witness. McCabe said the release of the findings against him was accelerated after he told congressional officials that he could corroborate Comey’s accounts of his conversations with the president. 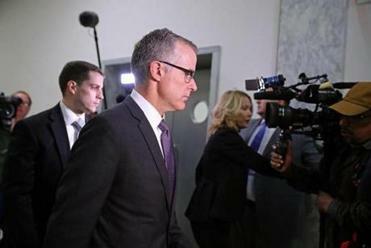 The media outreach came at a time when McCabe said he was facing public accusations of partisanship and followed reports that his wife, during a run for state political office, had received campaign contributions from a close Clinton ally. McCabe suggested in his statement that he was trying to ‘‘set the record straight’’ about the FBI’s independence against the background of those allegations. As a congressional hearing days after Comey’s dismissal, McCabe contradicted White House assertions that the Trump campaign investigation was one of the ‘‘smallest things’’ on the FBI’s plate and strongly disputed the administration’s suggestion that Comey had lost the support of the bureau’s workforce.